A SECTION of wooden jetty collapsed at a sports and music festival in Spain, injuring more than 330 people, five seriously. The stage was right on the seafront of the north-west city of Vigo, Galicia, and was crowded with people watching a rap artist at the O Marisquiño event. Police stated that there were no known fatalities, but witnesses described chaotic scenes as people – many of them teenagers – tried to claw themselves to safety. Some fell into the sea and people’s belongings e.g. mobile phones and handbags were left strewn on the ground. Emergency services attended to the injured, and divers were deployed to the sea to check for people, as the wooden boards had cracked along a central section. Reports suggest that the incident happened shortly before midnight on Sunday during the performance of Mallorcan rapper Rels B. In a tweet Rels B wished “strength” to the injured and told concerned relatvies or friends to contact the emergency help desk set up by festival organisers. 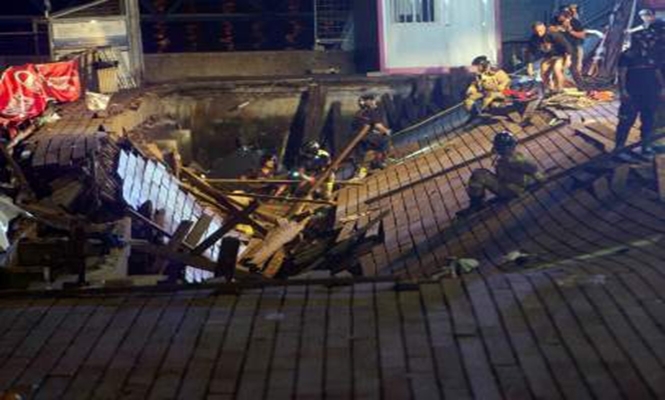 It is not clear why the platform collapsed, and Vigo’s mayor Abel Caballero has confirmed an investigation is underway. A week earlier Elena Muñoz Fonteriz, President of the Vigo Popular Party, had warned on social media that the jetty was unsound and that officials should examine it before the concert went ahead.